This time it’s a brief authorization for a prisoner discharge, from the Royal Oak Historical Society Museum in Michigan. The Civil War Sesquicentennial blog of The New York Times has an interesting post on Francis Carpenter and Lincoln. 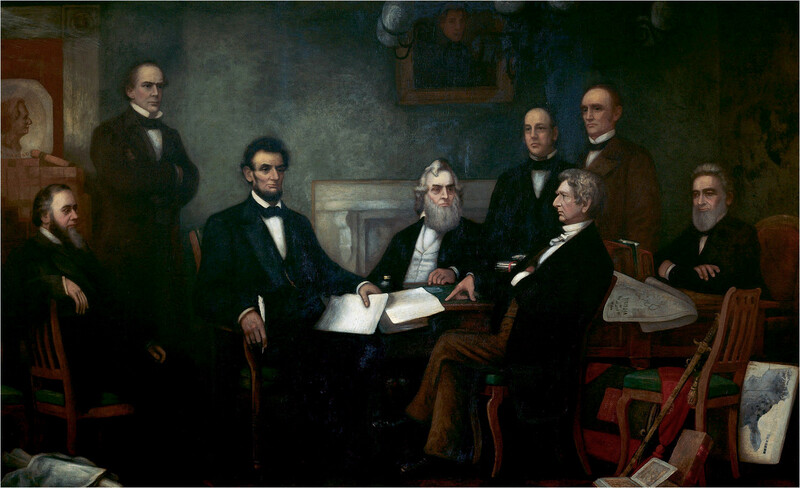 Carpenter stayed at the White House while working on his painting of Lincoln reading the Emancipation Proclamation to members of his cabinet. The painting itself got mixed reviews, but Carpenter’s book about the time he spent in the Executive Mansion has been a gold mine for historians. What does Lincoln have to do with Batman? Steven Spielberg’s long-awaited Lincoln movie finally has a release date. It will open in select theaters on November 9th and in theaters everywhere one week later. Spielberg isn’t the only filmmaker who’s working on a Lincoln project. Acclaimed director Terrence Malick is producing a film about Lincoln’s early years. Diane Kruger broke the news when she told an interviewer that she’ll be playing Sarah Bush Johnston Lincoln. Finally, a television film based on the book Killing Lincoln by Bill O’Reilly and Martin Dugard is in the works. Produced by the same filmmakers who made last year’s Emmy-winning documentary Gettysburg, it will star Billy Campbell as Lincoln and will air on the National Geographic Channel in 2013. Kevin Nance offers some thoughts on our ongoing fascination with Lincoln. He suggests that the current Lincoln craze in pop culture owes a lot to the election of our first African-American president.